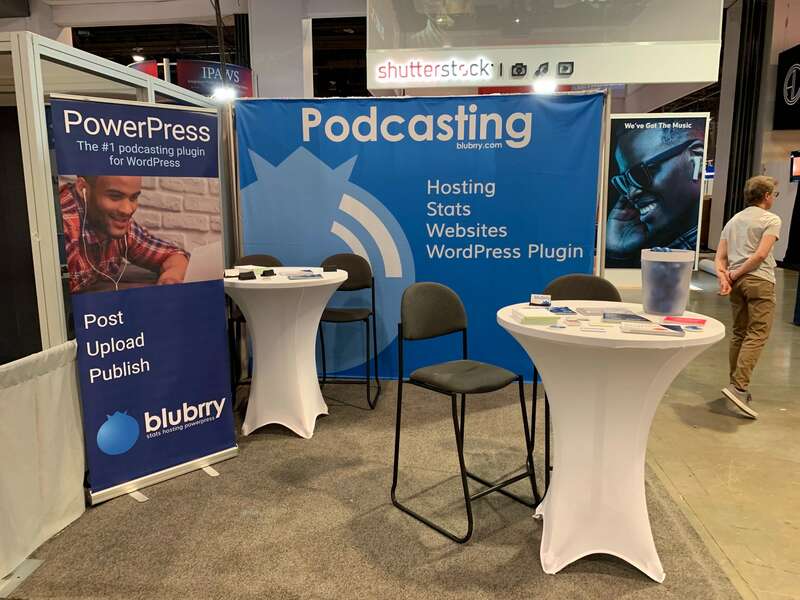 You can easily podcast on the go, Mike and Todd did just that ‘live’ from Las Vegas at the NAB Show 2019. 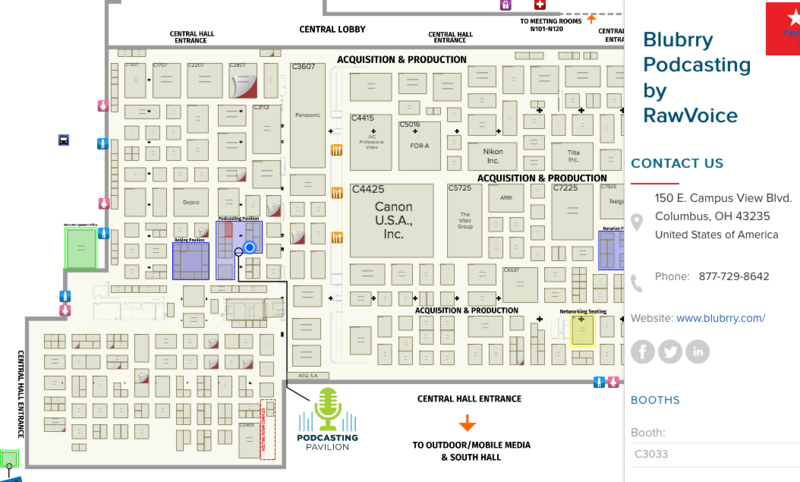 Todd and Mike sit down in the booth and talk about some of the happenings at NABShow and in the podcasting world in this abbreviated version of Your Podcast. MacKenzie from PowerPress Podcast joins us for a bit as well. 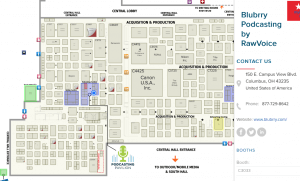 NABShow recap, recorded on the last day. Apple may be dumping “iTunes” in favor of individual apps for Podcasts, Music, Movies, etc on the desktop. Will there ever be an Apple Podcasts for Android devices? The Blubrry team has begun utilizing a new ticket system for support. New update to PowerPress: 7.4.1. Mainly bug fixes, but still useful to update. Partner: AudioBurst transcriptions and more for Blubrry customers. Rubber Ducks and shipping containers. While it’s certainly not “official” policy yet, you can probably see it coming at some point in the future: SSL will become increasingly important to podcasters. It’s already happened for “regular” websites: sites–even non-ecommerce–rank better in Google search results if they have a valid SSL certificate. Amazon requires SSL to be on their Alexa ecosystem. So, it’s no stretch of imagination to see that Apple may require SSL to be in the Apple Podcasts directory. Apple has mentioned that at some point in the future they’re going to require SSL to be in the Apple Podcasts directory. Also, not just any ol’ SSL certificate will do. It’ll most likely need to be from one of the SSL Certificates accepted by Apple. Good news, though if you’re on PowerPress Sites. You can switch your podcast site and podcast feed to SSL literally with the click of a button. Go to PowerPress Site Settings and click Set Up SSL. Then, wait a few minutes and you’re done. One little click and you’re good to go. If you’re on Blubrry (without WordPress or PowerPress) or Podcast Mirror your feed is already SSL. Otherwise, contact your hosting provider– they most likely have documentation to help you get your podcast site and podcast feed set up with SSL.If you’re not using an SSL cert yet, you’re probably ok. For now. But it’s coming, and it’s fairly simple to set up. Might want to get a head start. Podcast shows aren’t necessarily meant to last forever with new episodes. That’s where archiving an inactive podcast comes in. We explain how to do just that for your show, among other things. Such as, BBC recently removed podcasts from Google. On our side, Blubrry now offers AudioBurst to hosting customers. Mike got his first experience at the Proclaim event last week and is headed to NAB next week. Enjoy this somewhat abbreviated episode of Your Podcast. In a somewhat disappointing move, BBC removes podcasts from Google. Always expanding, we’ve got a new partner, Audioburst. We could not be more excited to help podcasters get transcriptions and ‘bursts’ of their episodes to post on social media and elsewhere. Plus, it’s free! Mike attended Proclaim19! last week for the first time. Archiving an inactive show and keeping it online. To keep it on Blubrry, downgrade to the lowest plan ($12). Otherwise, and this is ONLY for a show that is not ongoing, use Archive.org (which is what it’s for). OR, a folder on your website. CHECK YOUR SPAM Our email is still being marked as spam to a lot of Google email accounts (Gmail and G Suite). If you expected a reply, check your spam. New ticket system coming soon! 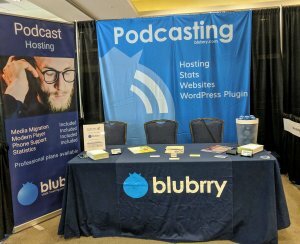 The Blubrry team traveled to Orlando for the 5th annual Podfest Expo. We enjoyed meeting new podcasters and catching up with others, we’ll be back next year. In the extended podcasting world, Spotify and Apple seem to be in a tiff, not because of podcasts but the freedom to act as a fully fledged music and media company, without Apple acting as big brother. This is a quicker episode, but still packed with great insight. Spotify vs. Apple: Spotify has filed a complaint against Apple in Europe. Podcasts on the radio? iHeart has a station for that. How was Podfest? Todd and Mike give their impressions of the show this year. Email issues at Blubrry/RawVoice: Check your spam if you are on Gmail! 301 redirects are important if you change platforms. It preserves your connection to your current subscribers. Today is International Women’s Day, a holiday in some places and completely ignored in others. Sometimes it’s a day of protest, sometimes a day to celebrate womanhood, and sometimes both. And, before you wonder when International Men’s Day is, that’s not what we’re here to talk about. We’re here to shine a well deserved light, interview-style, on two of Blubrry’s amazing employees, MacKenzie Bennett and Lena Taupier. 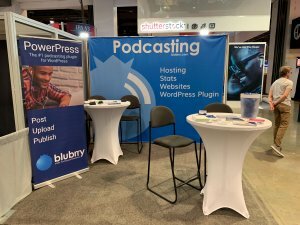 They’re integral parts of the team that brings you world-class podcast hosting, IAB Tech Lab Certified podcast stats, and the ubiquitous PowerPress WordPress podcasting plugin. MacKenzie is Services and Affiliates Coordinator at RawVoice, parent company of Blubrrry. Lena is Lead Software Developer at RawVoice. Blubrry (B): thanks for taking some time. I know you have plenty to do, so let’s just jump right in. Are you a podcaster? MacKenzie Bennett (MB): I am, for Blubrry. Outside of work, I don’t have a podcast, maybe one day. 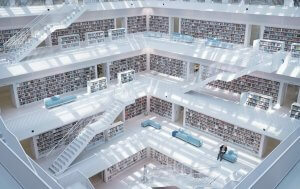 Lena Taupier (LT): No, but I have become a podcast addict. B: What’s your show show called? MB: I host the PowerPress Podcast. It’s you guessed it, pretty meta, and all about podcasting news and Blubrry podcasters. B: How long have you been podcasting? MB: it’s been about three and a half, four years, now. B: Why did you get into it? MB: When I started at Blubrry four years ago I had never been on a podcast. They wanted to me to host with a fresh, unbiased perspective. 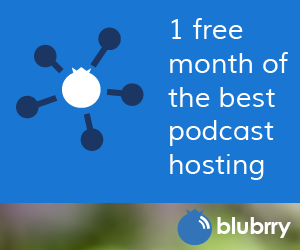 LT: I had listened to a couple of episodes here and there over the years but it wasn’t until I started working at Blubrry that I truly became a podcast addict. B: What’s your favorite thing about podcasting? MB: People. I interview guests on almost every episode and each time I get to learn about their show and discuss what is new and fun (or awful) in podcasting. LT: I love that it’s such an open medium where literally anyone who has an interest in a particular area can start creating content that others can consume. I also appreciate how easy it is to listen on the go. Nowadays there’s nothing I’d rather be doing on long drives than listening to my favorite podcasts! B: Speaking of, what are your current favorite podcasts and why? LT: Freakonomics – This show explores a wide variety of topics, from the cost/benefit of having 6,500+ languages in the world, to the parking problem in America. I really love numbers and statistics and the hosts do a great good job of gathering data to backup their findings so it’s really interesting. Snap Judgement – This show interviews people from all over the world who have interesting life stories. I am always in awe of the diverse and profound life experiences that I hear about in each episode. MB: I’m not a subscriber. Rarely will I listen to every episode of shows I love. For that reason, I love series – ones I can’t skip episodes on. Recently finished Happy Face; typical crime show, but sue me for loving to learn about murderers. B: How long have you been with Blubrry? MB: 4 years almost to the day! March 9, 2015 was my first day. LT: 3.5 years and counting! B: What’s it like working at Blubrry? LT: It’s very fast-paced and exciting because things are constantly changing due to the nature of the podcast industry. As a software developer, I really enjoy that aspect because it means we get to work on new, exciting projects quite frequently. I also really like that we have an open environment where new ideas are encouraged and we have the flexibility to explore and use new technologies. MB: Insightful. 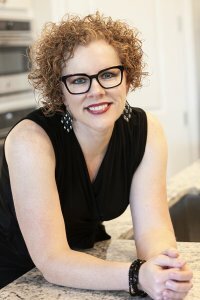 Constantly learning, but also exciting being part of the new releases, services and changes in the industry. B: What are you most excited about in the world of podcasting for 2019? MB: Hard to say at the moment. Edison Research Infinite Dial numbers just came out and I’m surprised how interested I am at looking forward to digging into what is causing listener growth. LT: I’m excited about all the tools and technologies that are popping up to help make podcasts more discoverable. For example, as AI transcription from audio to text improves, it will become much easier to search through and discover new podcasts based on specific topics. B: If you could interview anyone (living or dead) for your podcast, who would you choose and why? LT: I would interview Marie Curie. She was the first woman to win a Nobel prize and the only person ever to win a Nobel Prize in two different sciences. I would love to hear about her earlier years and what it was like to be a female scientist at that time. MB: Honestly, my first thought was a pirate. I think they’re hilarious, full of good stories, and would love to get their perspective on my horrible Halloween renditions of them over the years. B: Thanks for chatting, and thanks for what you do for Blubrry! Anything else you’d like to add? MB: Look out for your other female podcasters. Bond with them, learn with them. We celebrate 2 years of Your Podcast. Todd is back! Thank you to Jeff, John and Grant for Co-hosting with Mike over the last few episodes. Today Todd and Mike talk about Apple’s emails about meta data and what it all means, Blubrry will be at the RAIN Summit in NYC and Podfest in Orlando this week. We also did a fair amount of Geeking out on file formats and sample rates. We encourage you to use the tag to send us your episode numbers. If you decide to include episode numbers in your episode titles. Apple’s tags and why they are important now more than ever. The Geeks are at it: 44.1k vs 48k sample rate? Does it matter anymore? While we are at it, AAC vs. MP3. Type in the new title for Apple Podcasts in the ‘iTunes title’ box and put the episode number in the number box. You can ignore the season and type fields if you want. Go to “Manage Episodes” and click the “edit” icon next to the episode you want to edit. In the editor you will see advanced iTunes settings. Open that section and you will see “iTunes Title” and “Episode Number”. Put that info in and save. Repeat as needed. Media file names – Spaces in file names or other weird symbols do weird things to stats. ONLY numbers, letters, underscores or dashes in mp3 file names. Apple is Encouraging you to Not Include Episode Numbers in Episode Titles for Apple Podcasts. Apple is strongly encouraging podcasters to not include episode numbers in the episode titles of their episodes. The fix is fairly simple & straightforward but could be pretty labor intensive if you have a lot of episodes. To remove the episode numbers for your title simply edit each post and remove the episode numbers. Simple, yes. But could be time consuming if you’ve got years of episodes. Better to fix it now, though, than to be smacked by Apple. Apple Podcasts may be losing market share, but they’re still the dominant player. We are of the opinion that they want to clean up the look of the Apple Podcasts directory. But you need to understand how removing the episode number for Apple’s sake will affect the look of your show in other applications. So far, here is what we found with the <itunes:title> tag vs. the plain old main <title> tag. Save Changes at the bottom of that page. Edit each post and click “modify” in the podcast episode area. Type in the new title for Apple Podcasts in the ‘iTunes title’ box. If you want to make these changes, If you have 299 episodes in your feed consider lowering that number until you have edited your posts.